Home Loans for America's Veterans Where can zero down take you? VA Loans Give Veterans More Access to Homeownership Over 23 million have used their benefits since 1944. The VA home loan benefit can free you from limitations. With zero down, your choice of home isn’t restricted by your down payment savings. Instead, your money is freed up to use for other purposes: home improvements, education, vacations, or a rainy day fund. Over 20 million servicemembers and Veterans have taken advantage of this tremendous benefit. VA home loans are backed by the government and made by approved lenders. And because the VA guarantees a portion of these loans for lenders, the program can offer special benefits. One of those benefits is 100% financing, which can mean no down payment within VA loan limits for eligible Veterans. Created in 1944, the VA Home Loan Guaranty program first helped returning WWII Veterans re-enter civilian life. Since then, over 23 million VA home loans have been approved. Today, the loans provide eligible borrowers – at any stage in life – cost-effective choices for home financing. VA loan eligibility starts with your service, since only eligible borrowers can use this government-backed mortgage program. If you’re unsure whether you have the benefit, or how to use it, we can help. If you’re a Veteran or a surviving spouse, it’s worth your time to explore your eligibility. Service requirements must be met before benefits are awarded. To use your VA loan benefit, you’ll need a VA Certificate of Eligibility (COE). A COE, if obtained through your lender, can be granted instantly if you’re in the VA’s system. All that’s needed is information such as your full name, social security number, and birth date. If you’re not in the VA’s system, you’ll need to acquire it another way. Your lender can help you fill out the correct forms to speed up the process. If you’d rather get your COE on your own, the VA benefits site is a good place to start. Is Owning Part of Your American Dream? Owning a home is a highlight of the American Dream for many Veterans. If you’re looking to own a piece of the homeland you’ve served to protect, you’re in good company. The national homeownership rate in 2018 is about 64%. But the rate for Veterans is much higher, at around 79%. Veterans are more likely to own homes than civilians, in part because they have more access to homeownership with their zero-down-payment home loan benefits earned through service to our country. Are you considering whether buying is right for you? 6 Signs You're Ready to Own a Home. Buying a home is significantly cheaper than renting, according to many estimates. For instance, recent Trulia numbers estimate that owning is 33.1% cheaper than renting, on a national basis. But cost may not be your only motivator for wanting to buy a home. Many Americans simply enjoy the freedoms granted by homeownership. And you may be one of those who like knowing that your money is going toward something that’s yours. Imagine no more restrictions imposed by your landlord. Go ahead – get a dog! Decorate in your favorite color. Did you say purple? Hey, it’s your house. Play loud music. Is it time you got out of the rent race and into a home you love? Your VA loan benefit may offer that opportunity. If you have thoughts of owning a home, we’re here to offer specialized help in exploring your eligibility for VA loan benefits and other government-backed home loan programs. Why not start your journey to homeownership with us today? Save money and make room in your budget for other financial goals. Potentially reduce your overall interest payments. Gain predictability, stability, and possible cost savings. Save in interest over the course of the loan. Make home improvements or other major purchases. Homeowners have many reasons to consider refinancing. Which apply to you? I am interested in knowing if current interest rates can save me money. I want to pay off my loan sooner with a shorter-term mortgage. I have equity in my home and I need cash to pay for something important. I’d like to eliminate my monthly mortgage insurance by switching to a VA loan. I have a VA loan, and a lower payment through a streamlined rate reduction would help my cash flow. My current rate is adjustable, and I’d sleep better with a low, fixed VA loan rate. The loan term through the VA program can range from 15 to 30 years, and up to 100% of your home’s value can be financed. Except in some streamlined refinance cases, you’ll need a VA appraisal. Often, refinancing costs are rolled into the loan principal rather than paying them out of pocket. VA refinancing helps many Veterans get out of debt, save money, and improve their finances. Getting Veterans into homes is what we do. With three decades of experience, we know the ins and outs of the VA loan program. No other lender understands Veterans – and VA loans – like we do. Through war and peace, historic highs and lows, we’ve been there. Today, Veterans First is a mortgage lender shaped by the humble heroes we serve. 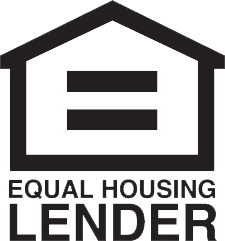 Quality lending practices and doing right by our borrowers are priorities that have kept us thriving over the years. The people you trust to help you with your loan do make a difference. Three decades of experience with the VA mortgage program. A long track record of putting our customers into quality loans. Cutting-edge tools and processes that make getting a loan easier for you. Knowledge that often results in a “yes” when other lender say “you can’t”. Passion for understanding and serving the needs of Veterans and their families. Knowing our customer is central to our mission. Our Veteran-centric training program helps employees in every role understand the sacrifices and unique needs of our country’s service men and women. You’ve served our country, and have unique priorities, goals, and expectations for your future. Your home loan team at Veterans First is committed to meeting you on your path, to understanding and attending to your unique needs, and to being the trusted partner you’re searching for. What Clients are Saying Watch how choosing the right lender has changed lives. They really want you to succeed in the homebuying process. Veterans First, it was great. They’ve all been very, very patient with me, and if I had to ask for someone to work with, those would be the people to work with… It’s been a dream come true. Veterans First was different, because they were honest from the get go. We've served over 175,000 families with over $21 billion in home loans. Our experience sets us apart in the industry. For more than 30 years, borrowers have relied on the expertise of our company’s leadership in providing quality loans. 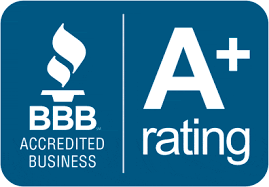 We’ve earned an A+ from the Better Business Bureau for sound business practices and overall customer satisfaction.